Apple´s iPhone has caused the biggest fuss of any new mobile for as long as anyone can remember. In the wake of iPodmania, it should be unsurprising that the world is waiting with bated breath to see what the computer manufacturer can add to the already huge range of phones available. After all, the iPod revolutionised the world of mobile music players more than any single product since the original Sony Walkman. 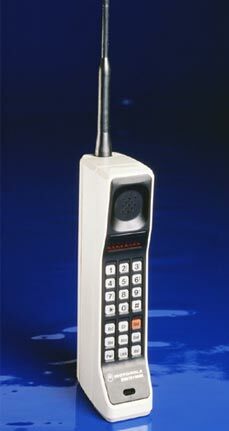 It was all a matter of usability, much as it will be with the new phone. A phenomenal amount of free publicity has been given to the phone, from such unlikely sources as the BBC, which ran repeated features on the phone on television news bulletins and online. Similarly, newspapers around the world have been gripped by the progress of the device, again providing incalculable free coverage for the multinational. Clever stuff, no? In the States, the iPod starts shipping next month and has already recieved, wait for it... one million enquiries from customers who wish to receive information when it is released. On AT&T alone. Apple hope to sell 10 million iPhones and it seems their canny approach to marketing is doing the job nicely. Basically, they are saying nothing very much and letting the buzz build to phemonenal pre-release levels. No other mobile phone manufacter has the power to reach the mainstream media in this way, which probably sticks in the throat of Nokia and Sony Ericsson, who have been producing truly innovative handsets for years. Now, all we can do is wait and see if it lives up to the hype. Ya, iPhone is nice but prices are quite high right now. I wiil buy one for me when the prices are down. www.mobilism.blogspot.com, you are doing a fantastic job and i m looking forward to get a whole lot of information from your blog....keep it up!